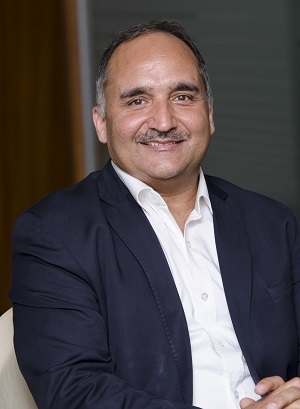 Interview with Bharat Salhotra, Alstom’s Vice President of Sales and Business Development in Asia Pacific. Swarms of motorbikes in Ho Chi Minh City; Bangkok’s colourful traffic jams dotted with pink and yellow cabs; idle cars queuing in Jakarta’s stagnant city centre: Many of Asia’s big cities, it seems, are most easily recognised by their traffic. “Uncontrolled urban sprawl” has put “tremendous pressure on public transport, which in some cities has been conspicuous by its absence”, says Bharat Salhotra, Vice President at Alstom Asia Pacific. This lack of reliable public transport has led to waves of new private cars and bikes joining streets that are ill-equipped to handle the load. Salhotra, a former CIO of the Indian Railways, led the country’s largest railways infrastructure project. He now works across Asia, particularly in rapidly growing and emerging cities, helping them tackle the enormous pressures on their transport and roads. “In cities, as we move forward, integrated smart transportation will have to come into place,” Salhotra says. This is “all about sharing data and then making sense out of complex data”. Alstom works with cities to use data analytics in three ways: deploying predictive maintenance; integrating public and on-demand transport; and providing accurate information to passengers. The most pressing of these is to help cities integrate across public and shared transport. Alstom’s Mastria tool allows city governments to get a single view across all their infrastructure, and also integrate data from new on-demand services like Grab, Uber and Ola. “The entire transport network can be put into one mega system,” says Salhotra. With analytics algorithms, cities can “re-adjust the frequency of buses and trains, pull them out from one part of the network and put them into another part of the network dynamically”, he adds. It also helps cities anticipate the impact of breakdowns, accidents and large city events. Alstom can “predict” how these affect the entire network, and then “take corrective action so that citizens are not adversely impacted”, Salhotra says. Mastria uses Artificial Intelligence and “advanced algorithms” to decide how trains, buses and cars can be rerouted, and how long it will take to return to business-as-usual, he adds. Most developing countries and cities with large transport systems still rely on “corrective maintenance”, fixing machines only after they have failed. In the meantime, this increases the strain on the rest of the transport network and annoys commuters. Cities need to move from “corrective maintenance to predictive maintenance” using data analytics, Salhotra says. Alstom uses a tool called HealthHub to alert operations and infrastructure managers early to any potential malfunctions. For instance, HealthHub applications TrackTracer and CatenaryTracer are helping tramway operators in Reims, France, carry out predictive maintenance. The system provides user-friendly asset health reports and dashboards, and data analytics which help predict the remaining useful life of components. This decreased the number of manual maintenance inspections and measurements by more than 50%. After a one-year test period in 2014, the system is now permanently installed. TrainTracer, which is also part of HealthHub’s suite of applications, can reduce operation costs by up to 20%, Salhotra continues. The same way that you might go for a routine health check, the trains go through a large MRI-like machine to check their status. This, combined with “on-the-move data collection”, keeps officials updated on the wear-and-tear of trains, tracks and other parts, and schedules maintenance before any major disruption. The impact of failures will be lowered, and equipment will have a longer lifespan. This, by extension, means a smaller fleet, as officials will require fewer trains to cover for the faulty ones, he explains. The third area where cities can use analytics is to ensure passenger comfort and convenience, Salhotra says. Sensors at each station and on train doors can detect passenger flow into and out of trains. This information is analysed by Alstom’s Optimet Flow Optimisation system and sent to the next station, showing commuters which parts of the train has space available. “Before the train comes in, passengers will know the best place for them to stand so that they can get in,” Salhotra explains. In addition, Optimet OrbanMap analyses social media data to get commuters’ feedback, and analyses comfort levels on board. In densely populated and rapidly growing cities, the best option is often an overhead metro system. “Several Asian cities have evolved and grown organically so much so that the luxury of inserting the metros is somewhat constrained,” Salhotra says. Overhead metros can be up to 40% cheaper than underground ones, and also require less land acquisition – a complex and costly task for city governments. In Hanoi, for instance, Alstom is a member of a consortium building the city’s third metro line, part of which will run underground. It will operate by 2021 and initially carry up to 8,600 people in each direction every hour, growing progressively to meet the city’s needs in the following 10 years. Alstom’s technology will allow trains on this line to run at a higher frequency and speed. 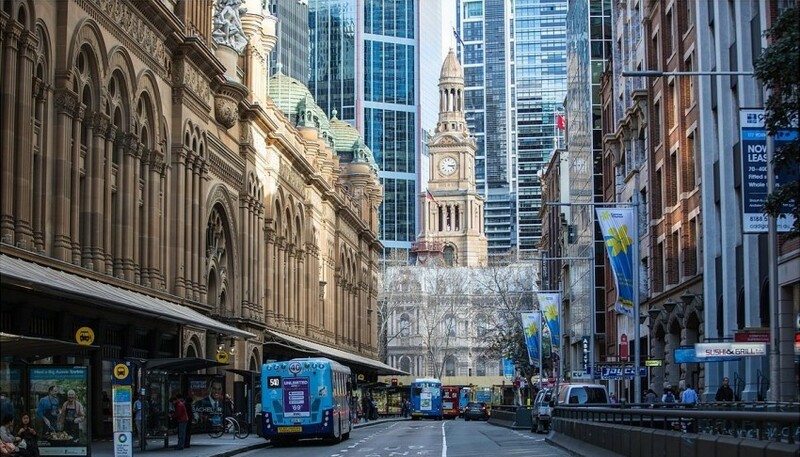 Meanwhile, Sydney is working with Alstom to introduce the city’s first driverless metro system worth $8.3 billion. The first stretch of this, called the “Skytrain”, is being built above the city, and will connect people to jobs and new growth areas in the city’s northwest. It is crucial to incorporate transport networks into city planning as early as possible, as “with each day, there is a huge opportunity cost of any delay in building a good public transport system”. The longer the delay, the more complex the projects become and the more costly they get. Transport will make a huge difference in Asia’s rising cities. A data-driven, outcome-based and integrated approach can help them keep up.